In August 2014, a $10,000 grant from Cardinal Health Foundation turned a few first aid classes and the prototype for Beacon into a first-of-its-kind rural EMS service , as well as additional support from Google.org. Today, support from USAID’s Development Innovation Ventures is helping us increase the hands on deck — including two new staff, Dr. Dianne Dorville, our program director, and Dr. Kelvin Acosta, our country representative — as we began the expansion of the service to new communities, recruiting new local partners and identifying gaps along the way. There are many challenges unique to rural emergency medical systems not faced in urban settings, and they all seem to come down to one root problem: access. Whether it’s access to roads, communications, income, education, health care or transport, access to needed resources is especially limited in rural areas, leaving existing resources perpetually stretched. If our system’s going to be successful, we have to see things for the way they are, and this forces us to answer very literal questions about means and ends: we can’t build the emergency response system we wish we had; we have to build the system we know we have. Wherever possible, we’re looking for solutions that can be drawn organically from within the community — if it’s already in the community, it’s likely sustainable — and when forced to seek resources from outside the community, which is sometimes the case, it’s imperative that whatever equipment or supplies that are brought back in can be sustained before they arrive. You wouldn’t repot a palm tree in Alaska and expect it to thrive. More often than not, used ambulances donated from North America are not a sustainable solution for emergency response in resource-limited settings, and particularly in rural communities where the money and paved roads needed to sustain donated ambulances from North America are scarce. Where such ambulances were in good running shape, they can be very effective for inter-hospital transfers, because the transport route is predictable and poorly maintained roads can be avoided. But for prehospital emergency response, where anything can happen anywhere, other forms of transport are necessary. Fortunately, we’ve found something — a game-changing solution to reverse the global scarcity of appropriate emergency transport. 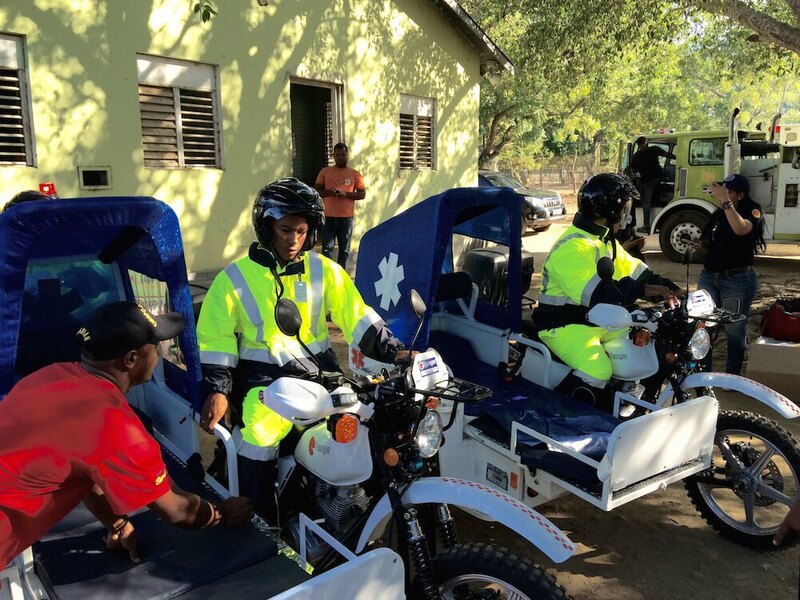 They’re called eRanger motorcycle-ambulances and thanks to the generous giving of nearly 150 donors, we were able to buy three of them for the Dominican Republic program. 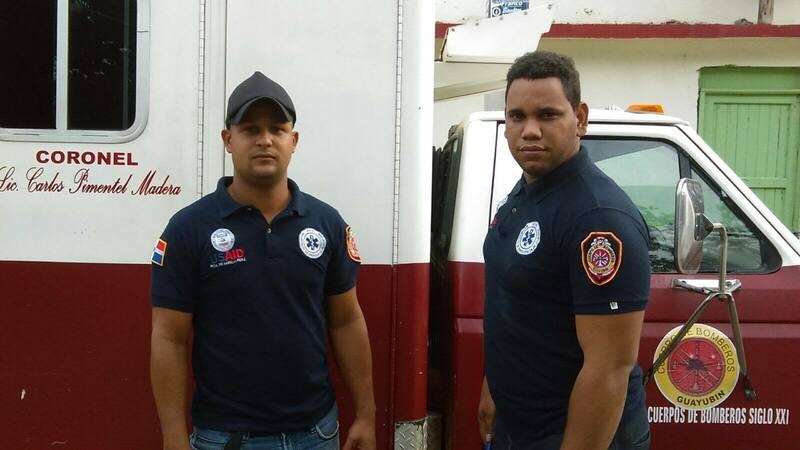 On Jan. 22, 2016, we had a small ceremony at the Manzanillo Fire Department to inaugurate the arrival of the eRangers that included the volunteers, local dignitaries, members of the press, and followed by a small parade afterword. The excitement among the responders and the guests was shared by everyone — many kind words and sincere thanks were offered to us and the supporters who made the donations possible, and pledges of support from different community members, for resources and municipal legislation, confirmed the value they saw in the motorcycle-ambulances. All in attendance said the same words to us: these vehicles will work, and they’ll last, too. To us, this means they’re sustainable. And we also believe they can generate revenue as billboards: many a gas station owner would trade free gas to have their logo on the side of these. Forty-five minutes east of Manzanillo, through banana and tobacco plantations grown in some of the world’s deepest topsoil, there are a handful of small communities where it’s clear from the moment you drive in that the residents take pride in their public space: tended yards, fresh landscaping in the village square, virtually no trash or debris in the streets, and vehicles parked orderly along the curb — small details that can speak volumes. The community we were visiting was called Guayubín (Gwhy-you-BEAN), where a meeting had been arranged by Col. Ramón of the Manzanillo Fire Department with other local fire chiefs, members of the civil defense, Red Cross and the local radio club. Six of us from the Manzanillo and Monte Cristi programs had been invited to meet and share with the local leaders what we’d been doing, and how we hoped to include the in program as well. It didn’t take long for the fire chiefs to understand what we were proposing, and how it could improve their own operations, and the discussion quickly turned to coverage: Their biggest challenge has always been distance. 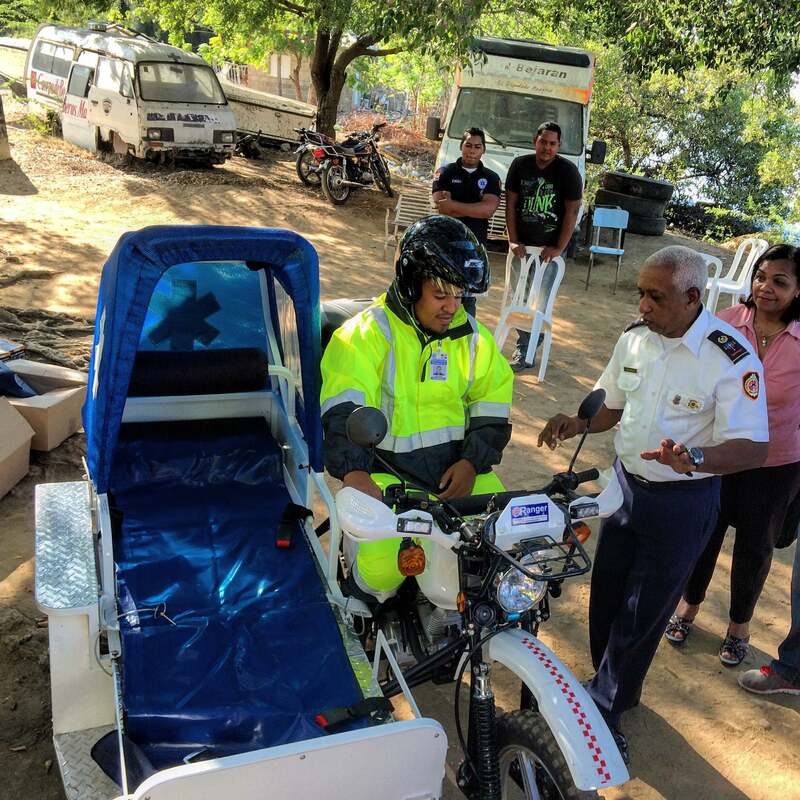 They’re capable of providing good coverage in the town centers and along major roads, but every kilometer off the paved roads makes things increasingly difficult, and in some cases, their departments were tasked with provide coverage for up to 900 sq. km (350 sq. mi) with a single engine — an impossible task for any single station department, let alone one in a community with severe access problems, resulting in minimal calls unless for major incidents and/or in easily-accessible areas. In many regards, the low demand on their service, despite the high need for emergency response was because the community recognized there was little they could do. But with Beacon’s ability to increase the number of responders and coordinate them through text messages, the entire group understood what that would mean for their coverage.